Ironwood town homes are located along the Hawkeye ski run at Deer Valley® Resort. These ski-in/ski-out Empire Pass Deer Valley condos feature craftsman style construction, and were the first town homes built in Empire Pass. Quickly & easily gather all the info you need about Ironwood. Our FREE Park City & Deer Valley Real Estate Concierge is at your service! Call toll free 1-800-485-0218 or use our Live Chat for instant answers to your Park City, Utah real estate questions. Some of the Ironwood town homes look south (up the mountain) towards the Deer Valley ski runs; other Ironwood condos have down-valley views looking down Daly canyon towards Old Town Park City. Quickly & easily gather all the info you need about Ironwood. Our FREE Park City & Deer Valley Real Estate Concierge is at your service! 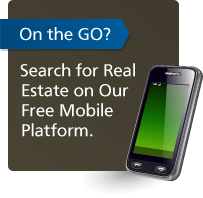 Call toll free 1-800-485-0218 or use our Live Chat for instant answers to your Park City, UT real estate questions.